Even though their second album "Where the oceans end" has earn a recent Platinum award in France ( Congratulations Guys !) 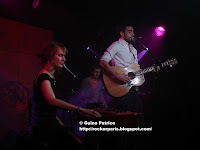 French pop/folk duet Cocoon is still doing showcases. 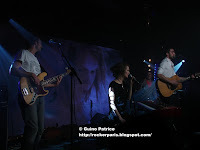 This time it is for SFR & OUI fm, the show is broadcasted live on the radio and on the internet on video. 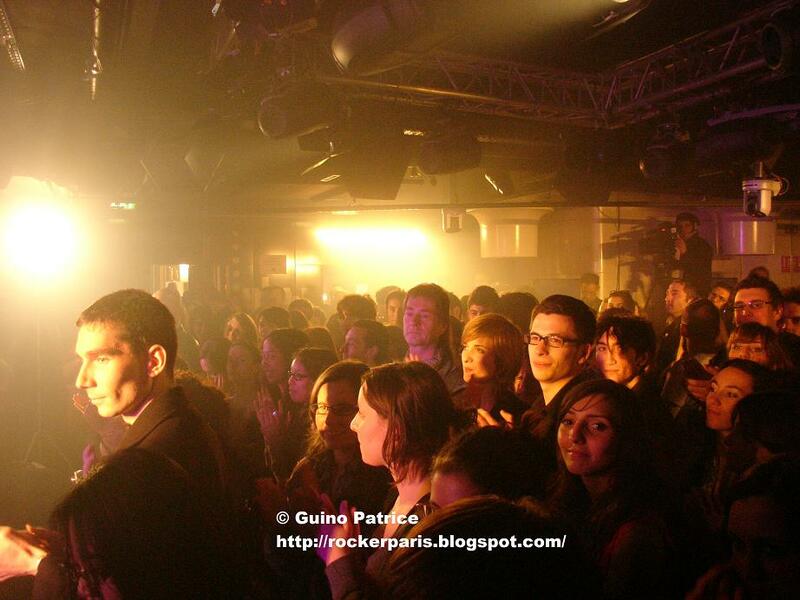 The studio SFR is situated in the heart of Paris just behind La Madeleine church, it holds roughly 200 people. Conditions are perfect : Great Lightshow and perfect sound and it's not too loud. 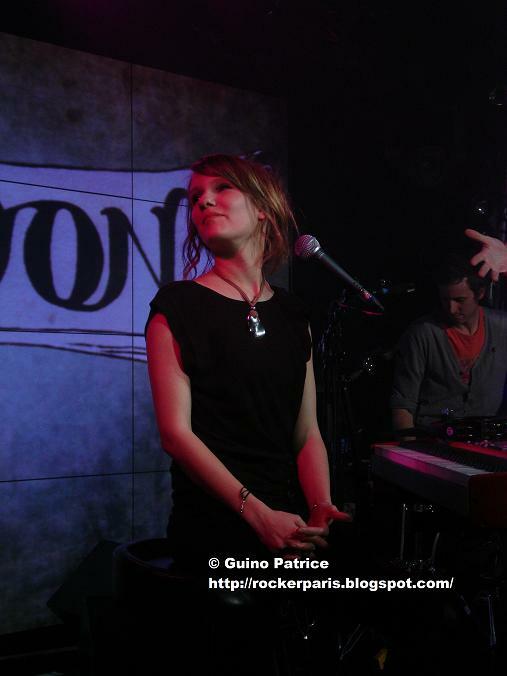 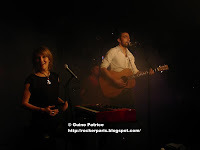 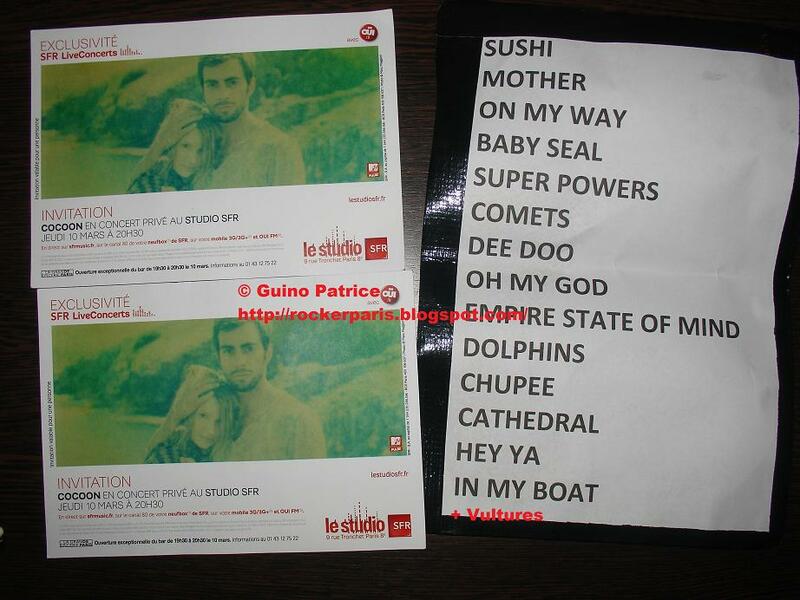 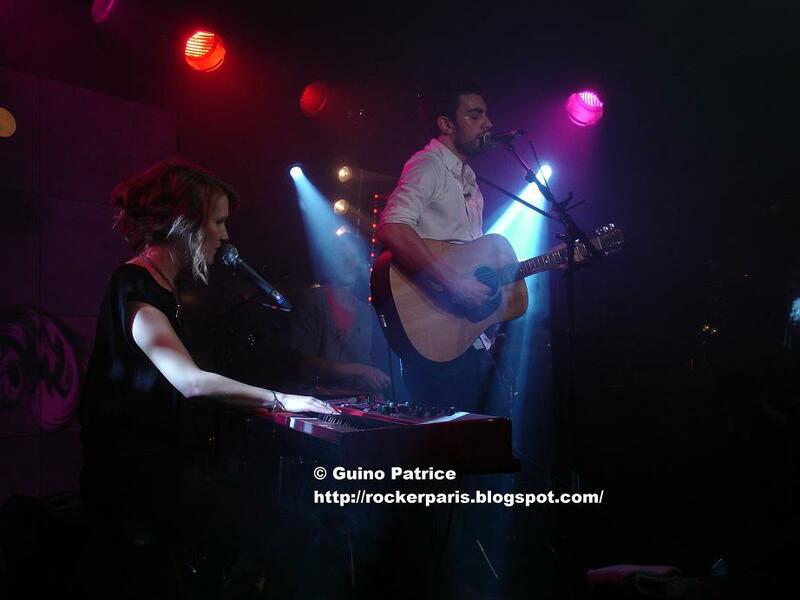 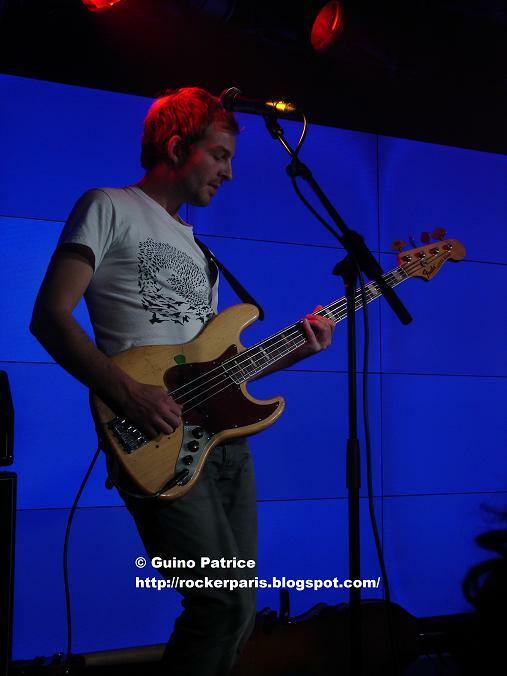 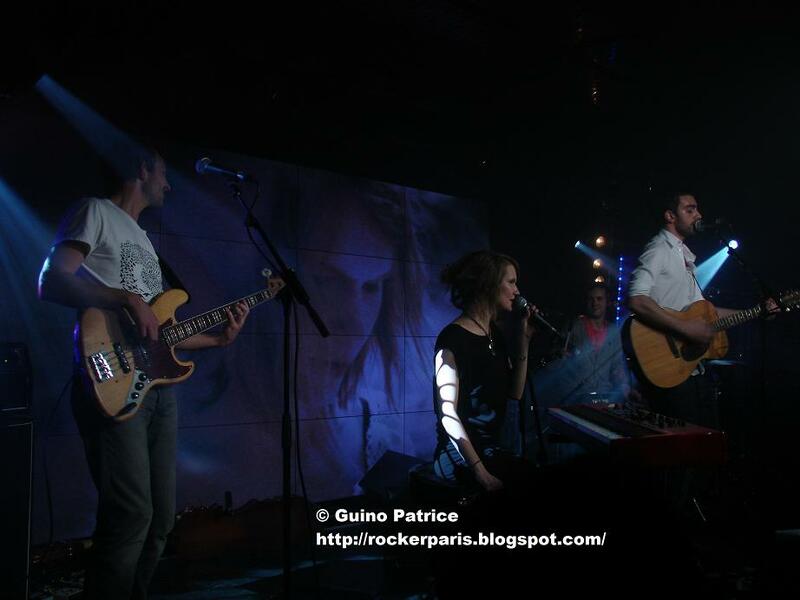 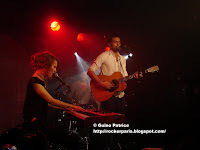 We love Cocoon @ Rockerparis, their Pop/ Folk is refreshing, they guys are always smiling and making jokes between songs. We can really see that they enjoy what they are doing. 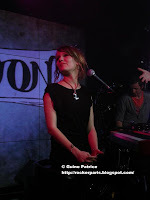 It's always a pleasure to see them.The girl is cute too. 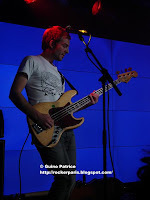 They've played an hour set in front of a dedicated young, mostly female, audience. 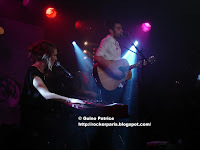 Usually they do have more musicians with them ( violins & cellos ) but they couldn't fit on the tiny stage so there's only a drummer and a bass player. 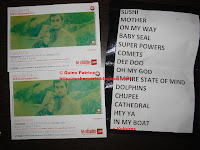 They've done a couple of covers including one of the duet Jay Z / Alicia Keys (here on video) and "Hey Ya" from OutKast plus songs from their albums including their hits (see setlist for details).